Goldfish in A Community Tank – 5 basic questions when selecting tank mates | My Goldfish Is Alive! In my humble opinion, I think goldfish should be kept only with other goldfish. Taking this a step further, I actually feel more comfortable keeping goldfish with the same body types (egg-shaped or streamlined) together. As you probably know, a goldfish with egg-shaped body tends to be a slower swimmer than one with a streamlined body. Keeping these together could pose the risk of the slower one not being able to compete for food. Well, that’s my paranoia speaking. I know of many fish keepers who have successfully kept their goldfish in a community tank. So if you are thinking about doing the same, which is to keep your goldfish with other fishes or aquatic pets, you can!… BUT at least ask these 5 basic questions when selecting the tank mates. Question #1: Do they dwell in freshwater? Goldfish are freshwater fish. So they need to be in a freshwater tank. Any tank mates of theirs will need to be able to dwell in freshwater as well. 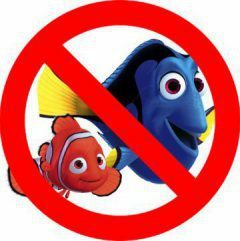 So the Nemo and Dory of the world (from the Disney’s movie) will not be a good fit. Nemo is a clownfish and Dory is a blue tang, and they are saltwater fishes. Question #2: Do they share the same temperature requirement? Goldfish are coldwater fish and prefer water temperature between 18-24°C. That being said, they do have a high tolerance for a bigger range of temperature. I am from a tropical country and I have been keeping my goldfish in temperature higher than 24°C. 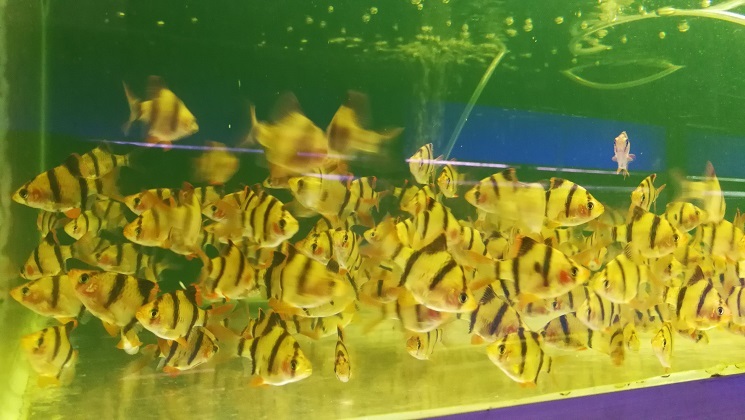 Thailand, which is one of the biggest exporters of goldfish is a tropical country too, and they are very successful in breeding and raising goldfish in a tropical climate. 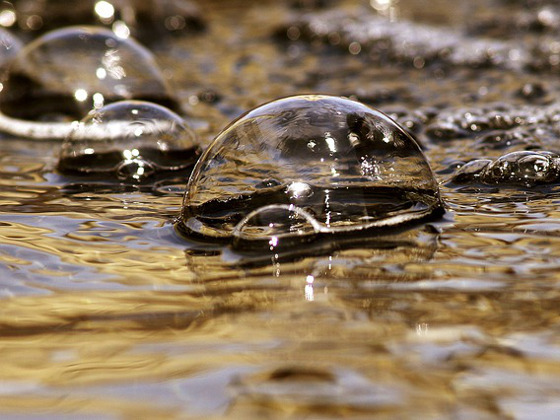 Warmer water contains less oxygen, so increase the water surface agitation for better aeration with an air pump. Anyway, when selecting goldfish’s tank mates, they will have to share the same temperature requirement because you will be keeping them in the same tank. Question #3: Can they fit into your goldfish’s mouths? Healthy goldfish are like eating machines. They will attempt to eat anything that fits into their mouths. So choosing a much smaller tank mate that your goldfish can easily swallow may not be the way to go. I had a situation once when I thought keeping an Otocinclus (a small algae eater) with my goldfish is a good idea. It is NOT! One morning I saw the Otocinclus’s tail sticking out partially from my goldfish’s mouth. Not a pretty sight, believe me! Anyway if you already have these small fishes with your goldfish, I hope they are fast swimmers… well at least faster than your goldfish. Question #4: Can your goldfish fit into their mouths? 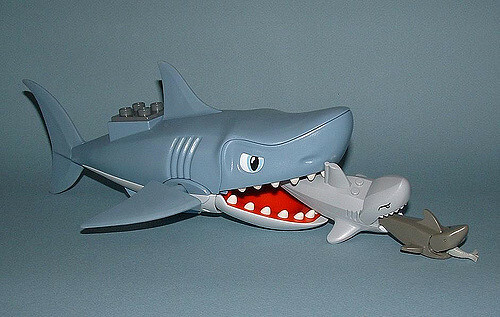 Big fish eats small fish, this is really how nature works. So, as much risk as a smaller fish gets eaten by your goldfish, your goldfish too can become a meal for a bigger fish. So be careful not to place your goldfish with fishes that can just make a meal out of them… unless well, they are meant to be feeder fish. Question #5: Are they aggressive? Whether big or small, some fish species are known to be aggressive towards others. Goldfish in general are docile. Together with their fins and slow swimming nature (especially those fancy ones), they make the perfect target for these aggressive fishes. All these aggression or bullying will create a lot of stress for your goldfish, and that never leads to anything good. Predatory and Cichlids species are definitely bad ideas. Betta and fin-nippers such as the Tiger Barb are really bad choices as well. Oh… and you should be careful with algae eaters as well. 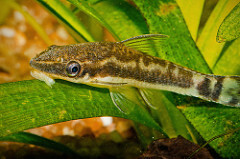 I have seen Otocinclus, Siamese Algae Eater and Pleco attaching themselves to the goldfish’s body, sucking on their slime coat. Although I think goldfish should be kept with their own species, many have kept goldfish in a community tank successfully. In the case of a community tank, special considerations should be done to ensure that the goldfish is compatible with its potential tank mates and vice versa. Bad compatibility will mean one being a meal to another, or diseases and deaths. Anyhow, always do your own research before placing your goldfish into a tank with other fish species or aquatic pets. So are you keeping your goldfish in a community tank? If so, what types of aquatic pets are your goldfish living with? Please share your experience in the comment section below! I love my aquariums! I have three set up currently. 30 gallons fresh, 35 marine, 55 marine. I love this post. Many people watch Finding Nemo and then assume they can set up a tank and know what they are doing. Another tank mate that I would suggest for your goldfish tank is plecostomus. This way your tank would be rid of the algae is grows. Thanks Jessica for your comment. Yeah pleco can be a good tank mate for goldfish but we will need to monitor closely. There are cases where the plecos developed the appetite for goldfish’s slime coat. So they will attach themselves to the goldfish, sucking on their slime coat. This will stress your goldfish out! Anyway I am very impressed with your number of tanks! Crazy fish people unite!! Hahahaha.. 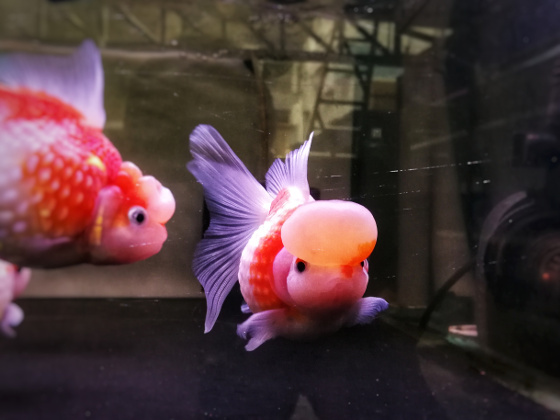 The goldfish is one of the most affordable and easy to take care of pets any one can have, even children, You have pointed out some interesting facts that some people may not be aware of. The thought of a goldfish being aggressive, and eating smaller fish are something to be taken into consideration. Thank you for the information. You are right to say that goldfish can be affordable (depending on the breed and the quality), but they are certainly not easy to care for. Do head over to this post on why I said keeping goldfish is not as easy as most people think. Wow, I really had no idea that the goldfish would eat smaller fish, and that getting too big of fish will eat the goldfish. For some reason, I though “tank fish” ate the food you give them. Shows how much I know and I have a tank! I don’t get goldfish, and try to get more of an exotic fish. But the picture you have on the post, shows some pretty unique (to me) goldfish! Goldfish are really gluttons. If they could, they will eat everything. :) Don’t let their cute looks fool you. LOL. 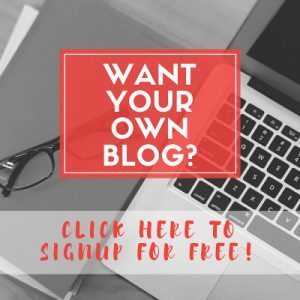 I really like this article. I used to have a small fish tank, and I’m thinking about getting a bigger one sometime in the future. This info will really come in handy. Thanks! Having a bigger fish tank is always a good idea. The bigger the better! Bigger tank will mean better stability on water condition. If you are intending to make this a community tank with goldfish, I hope my post above is of help. Thanks! I enjoyed reading your article. I could not agree with you more about keeping aggressive fish away from your goldfish. If I were in the tank with my goldfish, I know for certain I could not tolerate an aggressive fish. I do have a question though. When looking for a friend for my pet goldfish, should I also consider whether or not they may need different food? I like variety in my fish tank. I look forward to reading your answer. Having a community tank does mean that you will have to consider the different nutrition for different fishes. I would suggest giving them a variety and mixture of food so that everyone gets some. Wow, so many things I had no idea about. I always thought it was all about getting the coolest looking goldfish and that was it. I think your rule of thumb is GREAT: “if it fits in the mouth, it is food”. I would’ve never thought about this so thanks for bringing this to light. Also, I’m going to be using warm water so this means I need an air pump, is this correct? Thanks for the help! Thanks for your comment. Warmer water contains less oxygen, that is why we need to ensure more gas exchanges at the water surface. Having an air pump does help!